Not all of our design schemes are for buildings – we can also prepare plans for external improvement or landscaping projects. One recent example is that of a series of enhancements to a public playing field and recreation area in a Buckinghamshire village. Working together with the local Tennis Club, Parish Council and other stakeholders we prepared plans for introducing two new mini tennis courts, an adjacent footpath for use by parents and school children and also improvements to the on-site car park and other footpaths. Sometimes, external landscaping schemes can present interesting challenges – trees may need to be removed or cut back, for example, or underground drainage may be affected; occasionally an archaeological or environmental report is requested. With this present application, we acted as adviser and agent for the Parish Council to look after any issues raised during the planning process. We look forward to hearing the outcome of the planning application shortly. This entry was posted in Aylesbury Vale District Council, Buckinghamshire, car park, Haddenham, planning consent, planning permission, sports club on January 10, 2019 by admin. 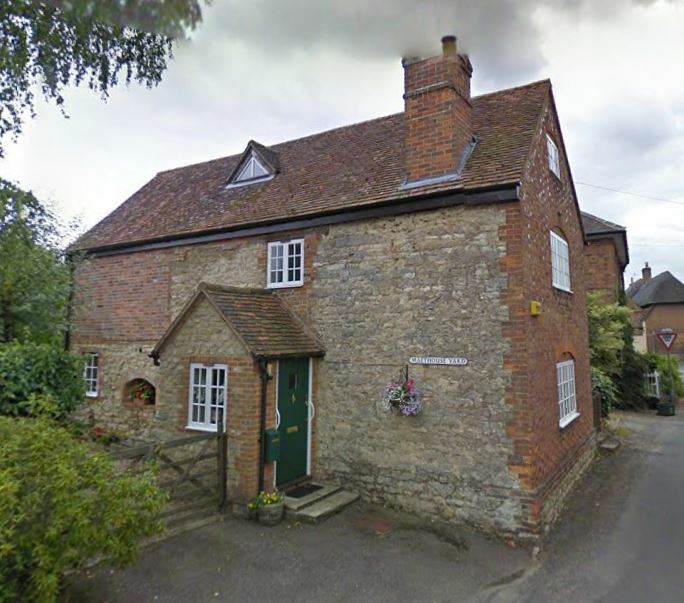 A local homeowner recently was very pleased to have planning and listed building consent (LBC) renewed by Aylesbury Vale District Council for an extension to their home. The proposal involves demolishing a conservatory at the rear, and replacing it with a more attractive two-storey extension with a glazed link corridor. 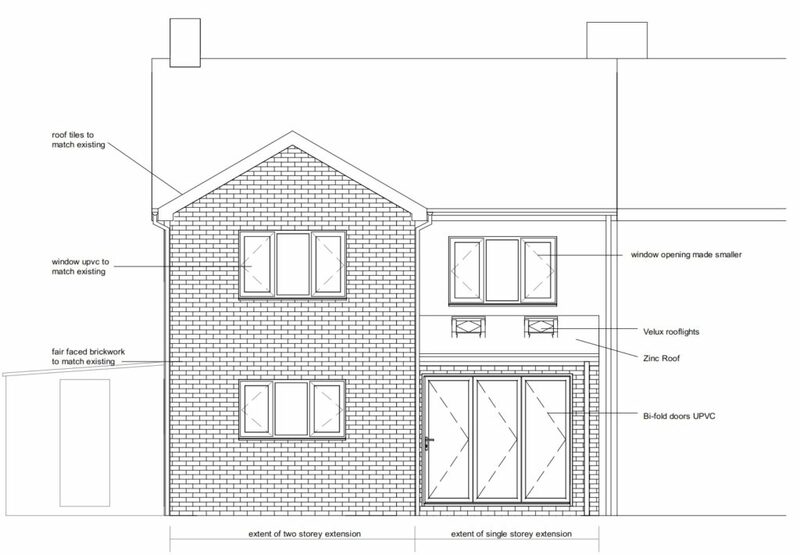 A new double garage and replacement for the porch has also been granted consent. This application was a renewal of a previously consented application to the local authority: as the three year statutory expiry of permission was approaching without work beginning, we were able to make a strong case for renewal of the planning and listed building consent. The homeowner was very pleased to hear about the renewal of consent and commented “Great news! 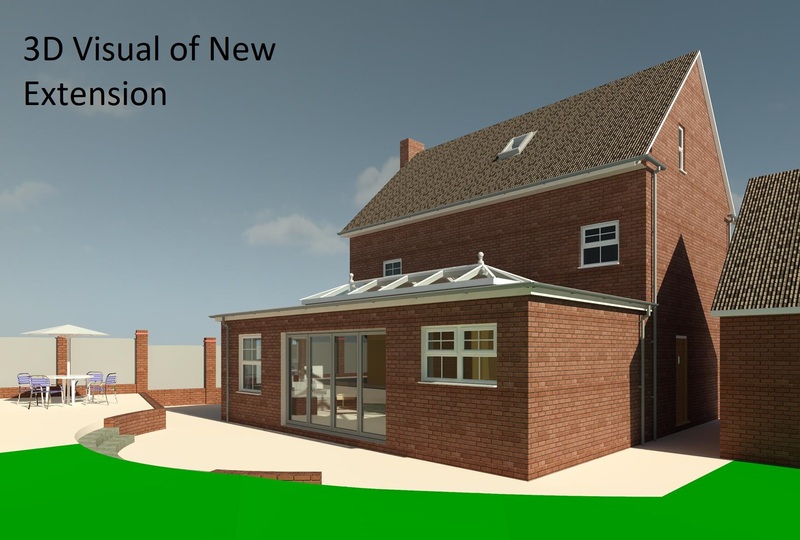 Thanks so much for your help with this application.” It is hoped that work will shortly begin on the home extension project. This entry was posted in AVDC, Aylesbury Vale District Council, Buckinghamshire, extension, House Extension, Listed building consent, Long Crendon, planning consent, planning permission, refurbishment, renovation on November 15, 2018 by admin. Helping to get The White Lion Pub Back on the Map! We are working hard at the moment to help get a popular Grade II Listed Chilterns pub back into operation and trading again. The White Lion in St Leonards, which is much loved by local residents in the surrounding hill top villages, has had a chequered history in the last few years. It’s been closed for business since January 2014. However, the future is now looking much brighter. The White Lion was bought by Mandy Grimwood as a business opportunity in June 2017. 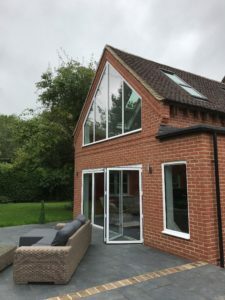 Mandy appointed PCMS Design to advise on the potential for the building; it was clear that in order to be a viable business the whole building required renovation and extension. Our design proposal includes the demolition of a poor quality rear toilet block and reconfiguring and enlarging the public bar and restaurant area, whilst retaining the pub’s historic character. All areas of the pub are affected by the proposed works, including the landlord’s accommodation on the first floor. This entry was posted in Area of Outstanding Natural Beauty, Buckinghamshire, Chiltern District Council, design, development, extension, Listed building consent, planning permission, project management, pub, public house, refurbishment, renovation on June 19, 2018 by admin. A Buckinghamshire client has recently completed a new for old workshop and storage barn project. 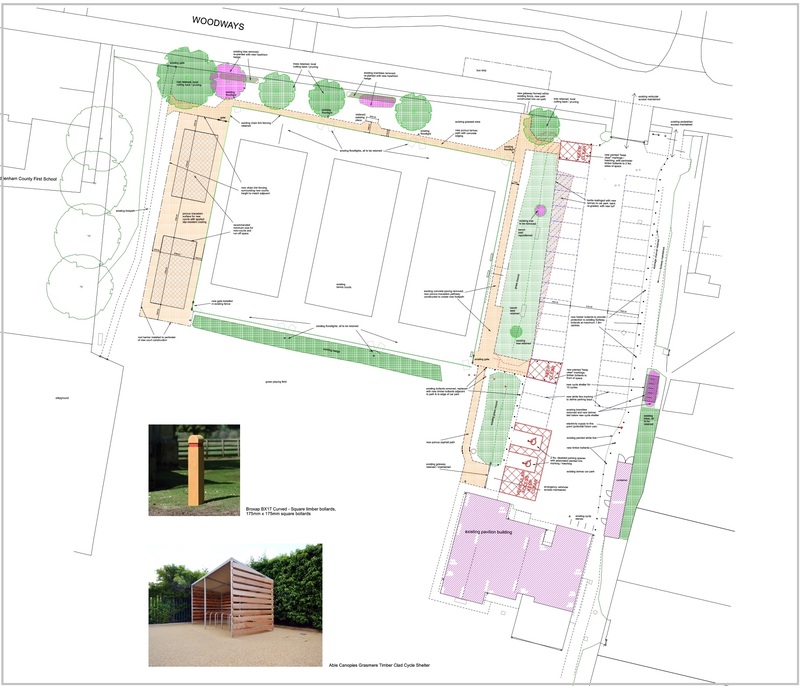 There was a rather impractical old large timber shed with corrugated metal roof which formed part of the front boundary to the residential property, and our client approached us to find out if designs could be prepared for a replacement building. The challenge was to find a solution that was acceptable to planners, because the building was not only within the curtilage of a listed building and also in a conservation area. As our client was looking for a useful workshop and vehicle parking space, we recommended total replacement due to the poor quality of the original timber building and unsuitability for conversion. 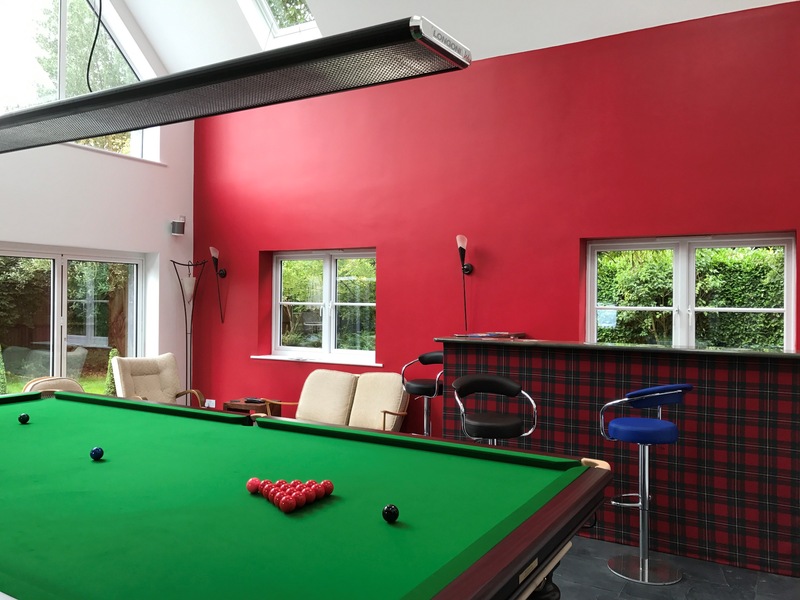 This also allowed for a slightly taller roof to incorporate a mezzanine storage area accessed via timber stairs, and two sets of double doors. 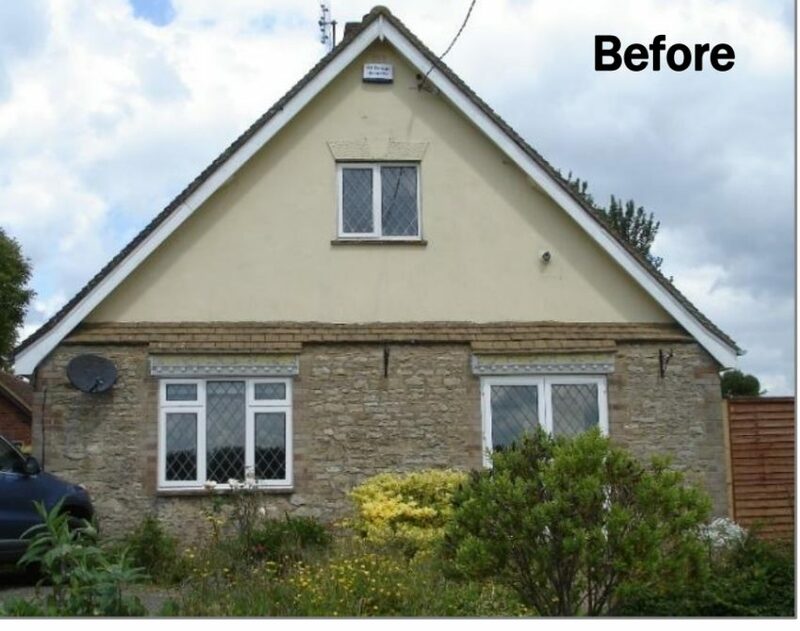 The eaves level next to the neighbouring property was maintained to minimise any impact. Care was taken to replicate design features from the original building, such as the distinctive windows with vertical glazing bars and horizontal timber cladding. 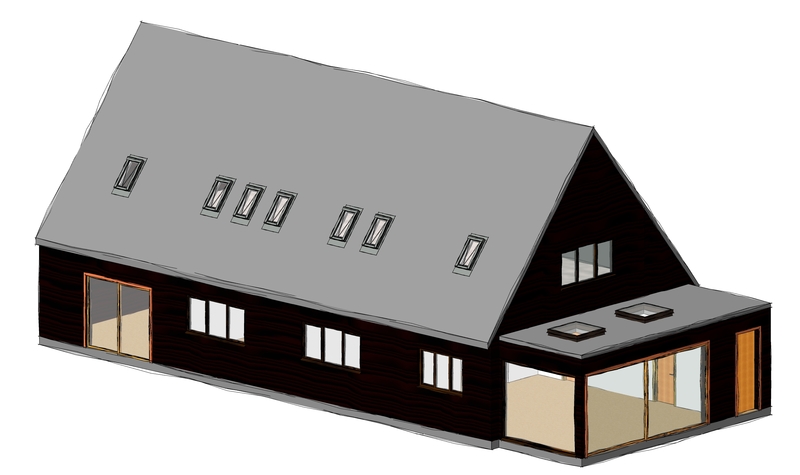 This entry was posted in Barn, Buckinghamshire, conservation area, design, planning consent, planning permission on June 7, 2018 by admin. 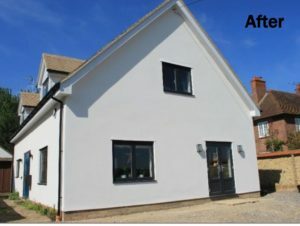 A property in Buckinghamshire has been transformed recently by conversion from an uninspiring dormer bungalow into an impressive spacious family home. Our clients contacted us after purchasing a house in a good village location, but in need of substantial improvement and refurbishment. 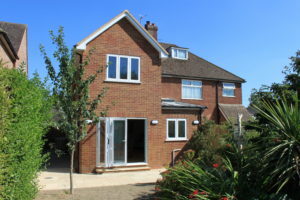 The house had already been extended at the back, so instead of extending outwards we recommended raising the roof by one metre; our design allowed the awkward rooms in the roof space to be brought back into use as light and spacious bedrooms, with the added feature of an attractive landing and oak staircase. 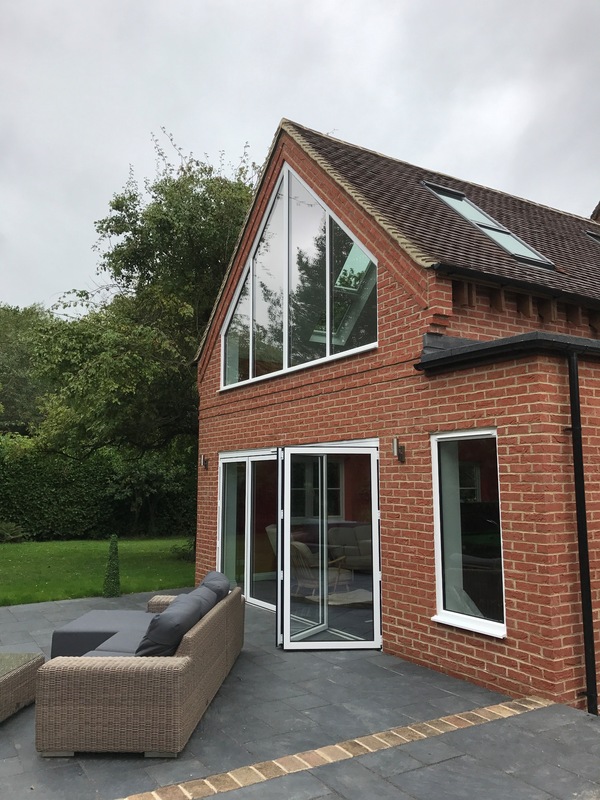 By designing this modest upwards extension, we minimised the impact on neighbouring properties, and avoided the need to ‘nibble’ into the garden or drive. The property has been reconfigured downstairs too; there are new bathrooms throughout, a refitted kitchen / breakfast room, separate utility room and study, and the exterior has a more modern sleek look with rendered walls and aluminium windows. Everyone is delighted with the transformation. 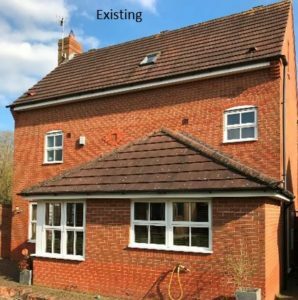 This entry was posted in Buckinghamshire, extension, House Extension, refurbishment, renovation, Residential on May 16, 2017 by admin.